Are you looking for something fun; the next online craze in Europe? Then get ready to kick your instagramming, travelling and AEGEE spirit into overdrive. The Your Vision for EUrope team wants you to get online and share that one special moment you felt most European. Elinne Mertens tells you all you need to know about your next greatest online addiction. The AEGEEan: What, in a nutshell, is this online campaign all about? We realised that the project is doing a good job in ‘offline’ activities, like delivering workshops or organising a conference, but that the ‘online’ involvement can be increased. That is why the idea to do an online campaign popped up, connected with the abovementioned objective. Also, 2017 is the anniversary year of Erasmus+, so why not connect these two together? Very short answer: everyone in Europe. We will create an event on Facebook where people will have the opportunity to share a memory, moment or experience when they felt European. 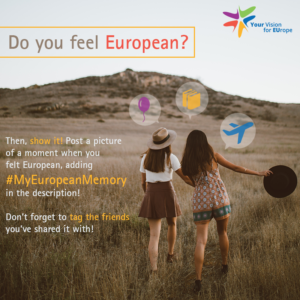 You could include a picture, tag the persons you experienced it with and use the hashtag #MyEuropeanMemory. By posting it in an event, the stories are collected in one place and can easily be shared. The campaign will last for one month, starting the 2nd of February and ending the 28th of February. The campaign makes it possible for every person to share their European memories. The campaign aims at collecting different stories that show a connection with the European project, which is more than only the European Union. We want to show that the European project is part of our everyday lives, that it is made up of different moments captured in our minds. Why is it important to have such a campaign? 2016 was a year to never forget. We had the refugee crisis which is still going on, we had the Brexit and the election of president Trump, all of which are considered to be a threat to democracy. We had people calling upon solidarity and responsibility. But most of all we had people feeling powerless, like what is happening on the level of politics is something bigger than themselves. This campaign allows people to show that the European project is valuable to us by taking a small action. We are all different, but what unites us is that we all live in the same world. We may be falling apart, but we cannot ignore the fact that we all have some valuable memories, which can be connected through the European project. That is what this campaign tries to show. Is there something I did not ask, but that you would like to see included in the interview? 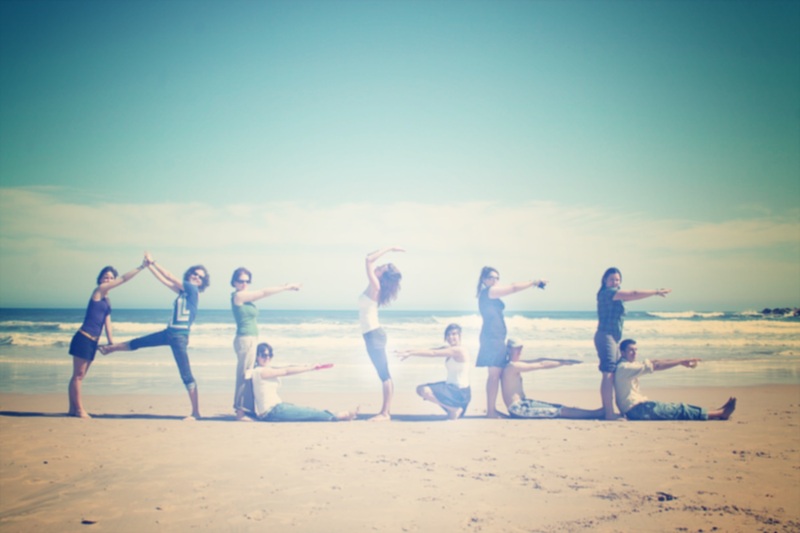 Well, we are trying to get ESN branches on board, regarding the framing of the campaign in the 30th birthday of Erasmus+. This is why we are sharing some Erasmus+ related content on our Facebook page. We hope that ESN branches will spread our campaign, and more importantly that all AEGEE-locals will cooperate. We are sure that in AEGEE there are endless European memories to be shared, but also outside AEGEE or Erasmus, people might have stories to tell, even if it is just a holiday memory or an internet experience.